The aims of Cohesion Plus are as follows. To promote positive community relations in Kent, bringing communities together through the arts, public education and sport. To promote equality legislation on age, disability, gender, gender reassignment, race, religion or belief, and sexual orientation and encourage compliance with the Human Rights Act. 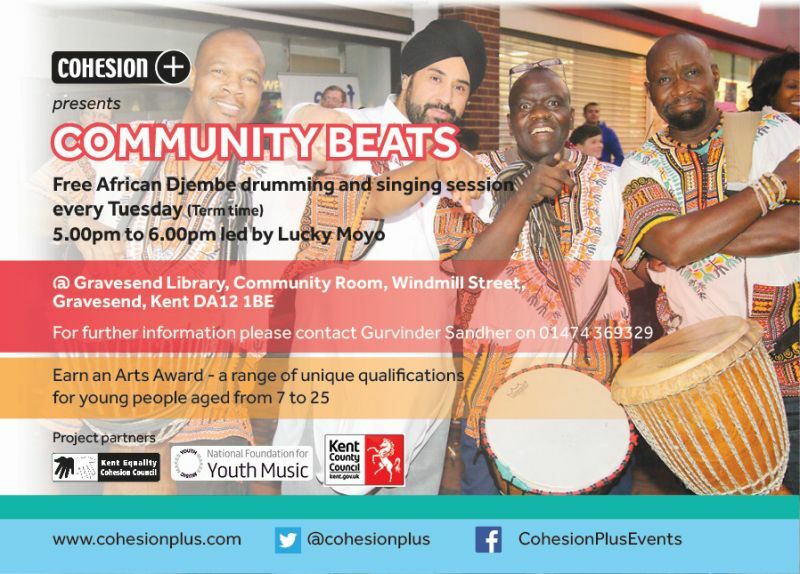 To organise culturally diverse arts events incorporating music, dance and visual arts primarily but not exclusively in Kent and its surrounding areas. To use the arts, public education and sport as a means of providing diversionary activities for young people and as a means of promoting good community relations and mutual understanding between the different communities in the area of benefit. To work in partnership with the statutory and voluntary sector to make a positive difference in Kent. The challenge is to deliver this at a time when funding is at a premium. We are therefore very grateful to our current funders and partners for all their help and support. 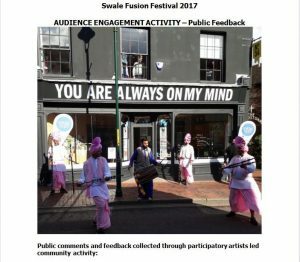 These include Arts Council England, Kent County Council Arts Development Unit, Maidstone Borough Council, Tunbridge Wells Borough Council and Gravesham Borough Council. Keep up to date with developments of all our projects by visting this website regularly.